An extraordinary woman, with incredible resilience, positivity and determination. Lady.co.uk were lucky enough to interview philanthropist Katie Piper, star of Strictly, author of seven books and guide to thousands of people suffering from life changing circumstances. Katie talks about her experience on Strictly, staying fit and her incredible journey as an author and mentor to those who suffer with confidence issues. 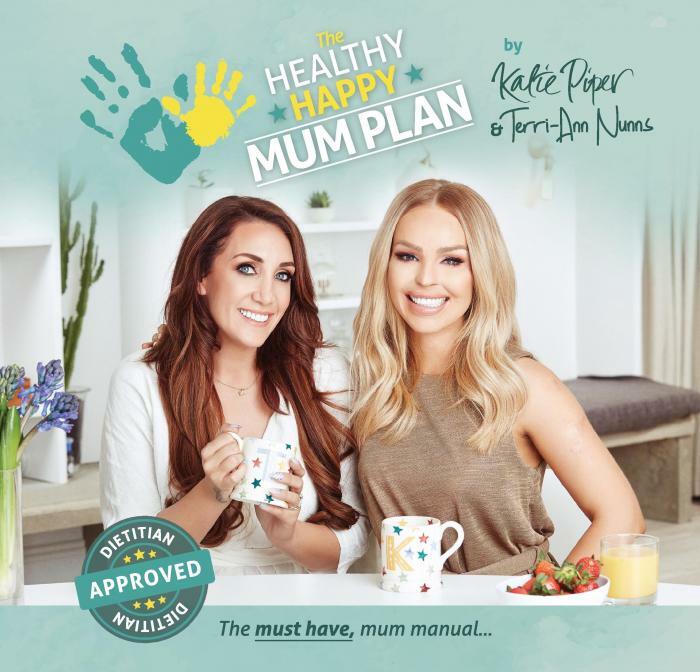 Katie’s latest venture is her ‘mum manual’ collaboration with TerriAnn Nunns, 'The Healthy Happy Mum Plan' shares experiences, tips and advice on keeping a healthy diet as a busy mum. Well done on your brilliant performance in Strictly! You must be busier than ever! What was your favourite part of doing the show? It was such an amazing experience! It felt a bit like a case of imposter syndrome though! Strictly felt like being part of a West End musical, with all the training and the sequins. I promised myself at the start of last year I would challenge myself and Strictly was that challenge. You must be so fit now with all that training! Your Podcasts ‘Katie Piper’s Extraordinary People’ are a great way of connecting and comforting those many people who may be suffering now, through hearing the stories told by those who have experienced great tragedy or suffering themselves, but endeavour to overcome the hardship by being resilient and positive. Congratulations on your ‘mum manual’ The Healthy Happy Mum Plan with TerriAnn Nunns. This sounds great – just what we busy mums need! Can you give our mum readers a few top tips from this? Don’t expect to see changes overnight. This isn’t a detox, it’s a lifestyle choice. It’s all about being mindful with what you eat. Keep up the good work and you will see results! You don’t have to go to the gym to exercise. Not everyone feels comfortable, or has the time to go to the gym. Home workouts are just as good and you can even get the kids involved! Allow yourself a treat day. There’s no need to cut your favourite food out of your diet completely as it simply makes you crave it more. Select one day a week where you can really indulge! Don’t forget to make time for yourself – everyone needs a break once in a while! When the kids are asleep do something that helps you to relax. Meditation is fantastic for this. Take photos and measurements every two weeks to track your progress, and don’t weight yourself more than once a week. You’ll be amazed at the results when looking back at old photos!